Register before 20 Jul 2016 for only RM1,490 per person. Register for 2 persons and get a free entry for 3rd person. Many businesses struggle with Waste Reduction. A clear understanding of what the tools are and how to use them is essential to the implementation of waste reduction. 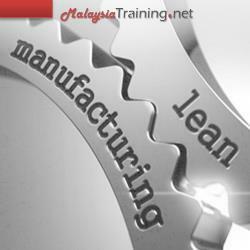 Education of the entire workforce is needed to sustain the gains made in Lean Manufacturing initiatives. The question is who in your organization is leading the change and what is the correct road map to use? Without a clear understanding of what waste reduction practices and concepts are, the implementation is doomed. The Waste Reduction Overview course is used to bring an awareness and understanding to participants about the concepts and philosophies of Waste Reduction. This class will provide the group with a clear focus on what tools to use, when to use them, and how to set sensible waste reduction measures in order to communicate gains made in the areas of focus. The course will lead to an in-depth understanding on why Waste Reduction is so important in order to compete in the global economy and why many world class companies are racing to implementing the system. Gain an understanding of the Waste Reduction Techniques and a methodology to incorporate changing requirements. Project plan: How to eliminate and reduce wastes & variances in your workplace? How to overcome them effectively?